The Strip seen from the desert, with Denise Scott Brown in the foreground, 1966. Photograph: Robert Venturi © Venturi, Scott Brown and Associates, Inc., Philadelphia. 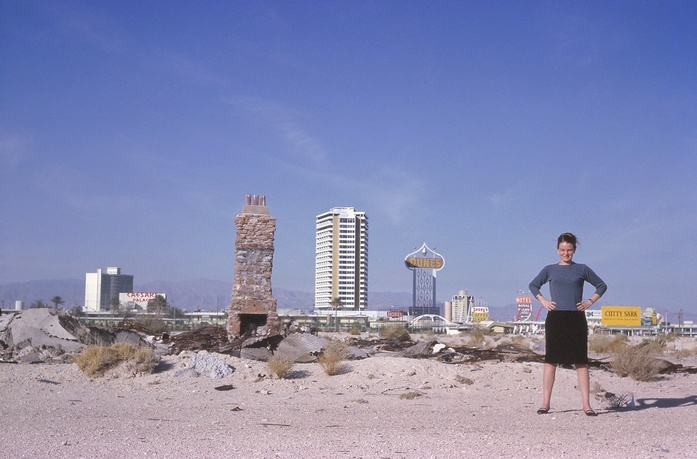 This feature-length documentary explores the complex and contradictory world of the architects, Robert Venturi and Denise Scott Brown. Husband and wife partners, Venturi and Scott Brown are widely considered among the most influential designers of the 20th century. Alternately vilified and idolized many times over in the course of their careers, theirs is a story that is part biography, part art history and part sociological survey of the past half century. James Venturi began producing and directing Learning from Bob and Denise in 2004. Starting with little experience in documentary film, Venturi assembled a team of advisors and documentary professionals to produce this film. Over the past four and a half years, he and his team raised $960,000, produced over 400 hours of high-quality original footage, sourced hundreds of hours of archival footage and thousands of photographs and press clippings, produced two trailers, and are now working hard to complete the feature-length version of the film by April 2009. Prior to producing this film, Venturi worked in technology consulting. The firm he started in 1990 at the age of 20 grew to include fifty people, and the spin-off company was sold to Palm, Inc., in 2001. Mead Hunt has nearly three decades of experience as a documentary cinematographer. 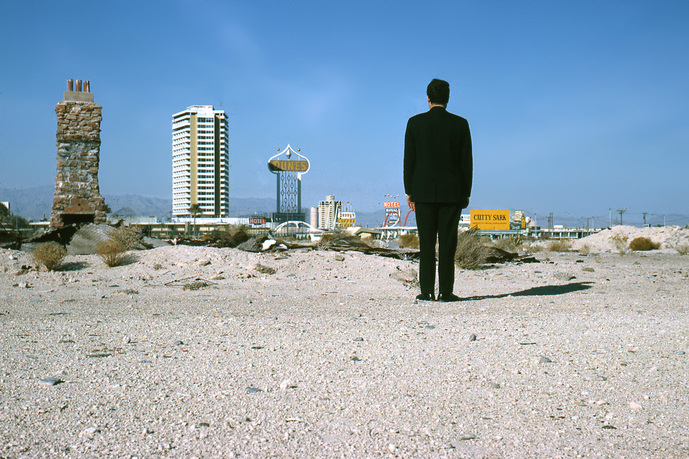 His credits include Beyond Utopia (1982), a film about upcoming architects and the move away from modernism (including Robert Venturi and Denise Scott Brown) and Robert Venturi and Denise Scott Brown (1989). In addition, his numerous credits for feature-length documentaries and programs have been aired on PBS. Edward Marritz, is an Emmy Award–winning cinematographer with over two decades experience. His credits include the Academy Award–winning feature documentary Maya Lin: A Strong Clear Vision (1994), In Memoriam: New York City (2002), and Emma Goldman: An Exceedingly Dangerous Woman (2004). Angelo Corrao, editor, served as an assistant film editor on Klute and Little Big Man. On the latter film he began a long association with renowned film editor Dede Allen. They worked together on many films including Serpico and Dog Day Afternoon. He has also had a long collaboration with photographer/filmmaker Bruce Weber, for whom he edited Let's Get Lost (the multiple award– winning and Oscar–nominated film biography of jazz singer Chet Baker) and Chop Suey, for which Corrao was nominated for the A.C.E. Eddie Award for best editing of a documentary feature. He has been an editor on commercials, concert films, television movies, and features, including The Pick Up Artist and Primary Colors. He was also editor and associate producer on the award-winning and Oscar–nominated documentary The Line King. Corrao is a member of the Academy of Motion Picture Arts and Sciences and American Cinema Editors. Joseph Dorman, editorial consultant, is an independent producer, director, and writer with over two decades of experience. His work has appeared on PBS, CBS, the Discovery Channel, and CNN. He produced the award-winning documentary Arguing the World (1998) and wrote the narration for The Endurance: Shackleton's Legendary Antarctic Journey, which was named Best Documentary of 2001 by the National Board of Review. He is the winner of television's George Foster Peabody Award and has been nominated twice for Emmy Awards for outstanding cultural and public affairs programming.